(You can use multiple stamps, or split-up an image into multiple sections, or use the same image multiple times, or cut-up existing decoupage images.... feel free to do and interpret this theme anyway you'd like, just have FUN creating and hurry to enter before challenge ends! 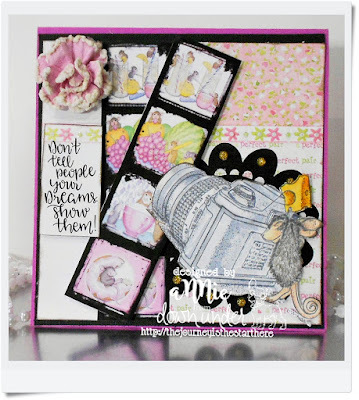 House-Mouse Designs(R) House-Mouse, Happy Hoppers, or, Gruffies images in stamps, CD collections and, or, any decoupage. Please note that we NEED YOU to also mention your residing country of origin with your entries. This greatly helps our mousey DT save time to sort out sponsor requirements for their said prizes! We wouldn’t want to leave your entry out if we don’t know your Country! Thanks so much! 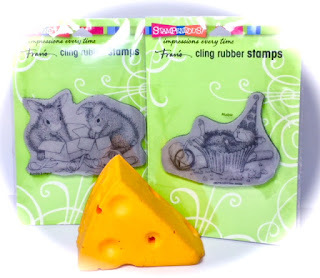 First, A Lollipop Mousey Notepad and a House-Mouse Designs(R) Stampendous! Cling stamp will go to another lucky winner! - Stamp is called "Lollipop Lunch" - isn't it adorable? Next, these 2 House-Mouse Designs(R) Stampendous! 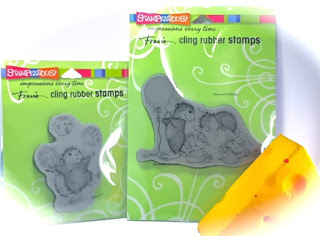 Cling stamps will go to a second lucky winner! America has now added a third surprise prize - for a third winner! 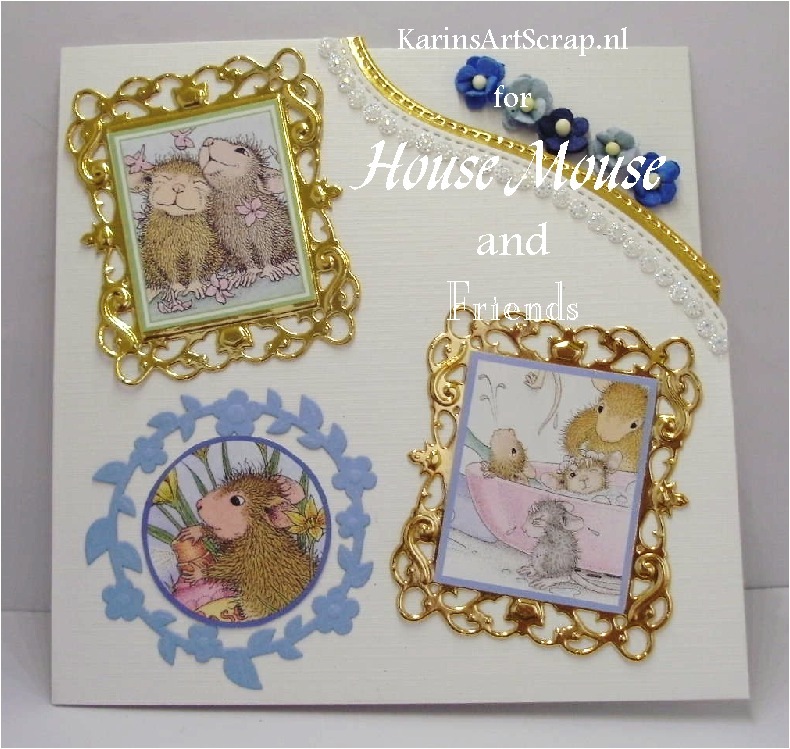 2 more House-Mouse Designs(R) Stampendous! Cling stamps for a 3rd winner! 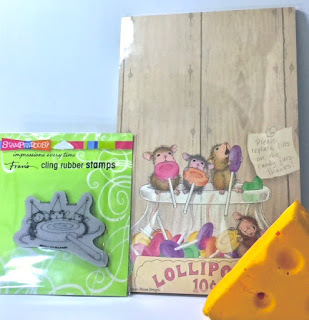 However, this prize will go to a lucky player that enters this challenge, follows America's own Blog (found HERE), likes the mousey HMFMC Facebook Page, AND ALSO uses MULTIPLE IMAGES on their submitted project... That's not much to ask for such adorable prizes, heh? If not all rules are met for this final prize - it will be not be given away and safely kept to give away at a later challenge. 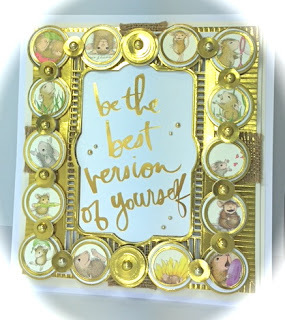 So be sure to do all and make it yours! :) Eeeeek! (cheese is not included in any of these prizes) LOL! How great are these, heh?? Be sure to play for chance to win! Thank you Teamies for your awesome contributions! The Challenge RULES can be found on the sidebar! To submit your entries, please go to the InLinkz found at the bottom of the MAIN Challenge HMFMC263 Post HERE. Or, simply CLICK this Mousey image to go directly there. This Challenge closes at Midnight (EST) on Saturday, April 15th. Thank YOU for joining the FUN! We can't wait for you to share your creative takes on this Multiple Images theme, and, or, Anything Goes! 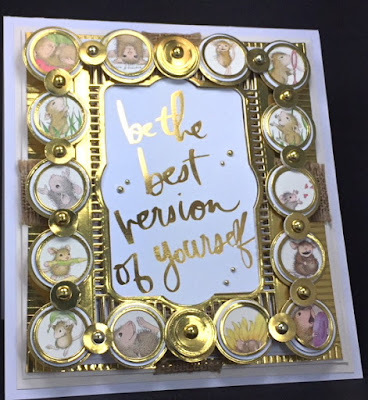 What amazing creativity! Thank you for your lovely takes on the theme and/or anything goes Teamies!